When the Death Star looms its ugly dome, there's only one person you can count on to save the galaxy! Your little girl, of course! 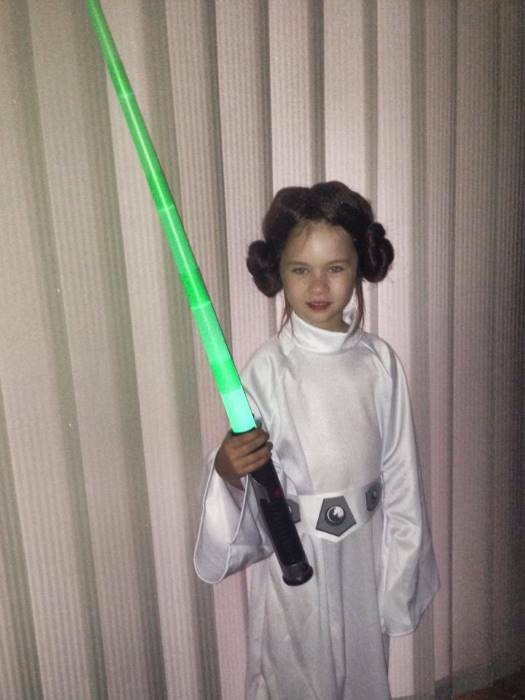 She always knows that a droid is the only way to sneak those Death Star plans to her only hope. No, not that droid. That's not the one you're looking for. Now, the true challenge is? Can your girl come up with comebacks as good as "nerf-herder" and "big walking carpet"? Sorry, Chewie. 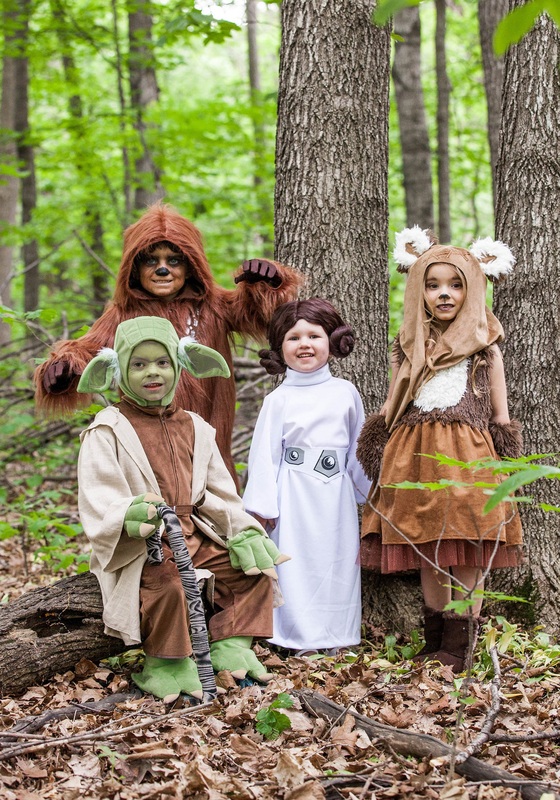 With a little help from this Child Princess Leia Costume, your kid can become one of the brave heroes that are going to save the galaxy. The costume comes with everything she needs to capture the look from Star Wars: A New Hope. 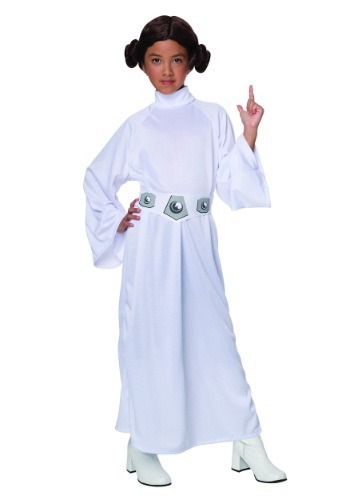 Your little one will love wearing the classic white dress that Leia wore while escaping from the clutches of Darth Vader. If you're worried about achieving that classic cinnamon bun hairstyle, don't! This Star Wars outfit comes with a wig that will give your girl the signature do' from the movie in a matter of seconds. 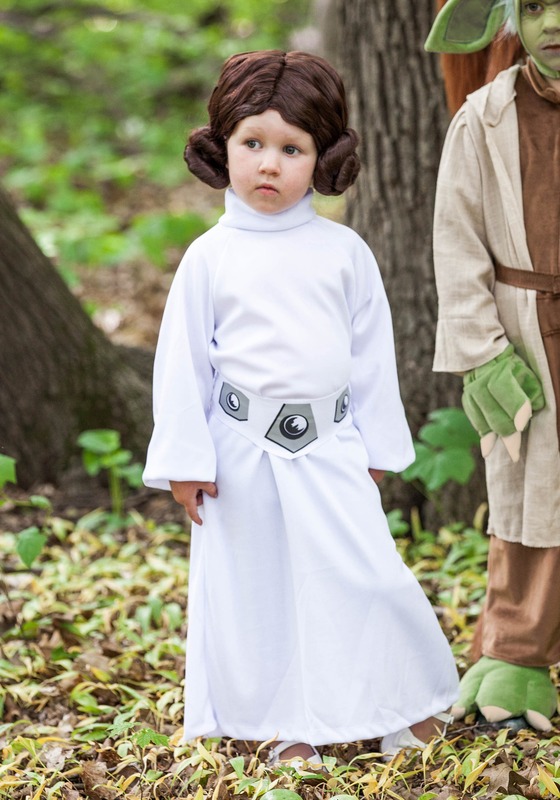 Now, your kiddo may or may not have Leia's sharp wit but she'll definitely have her look! 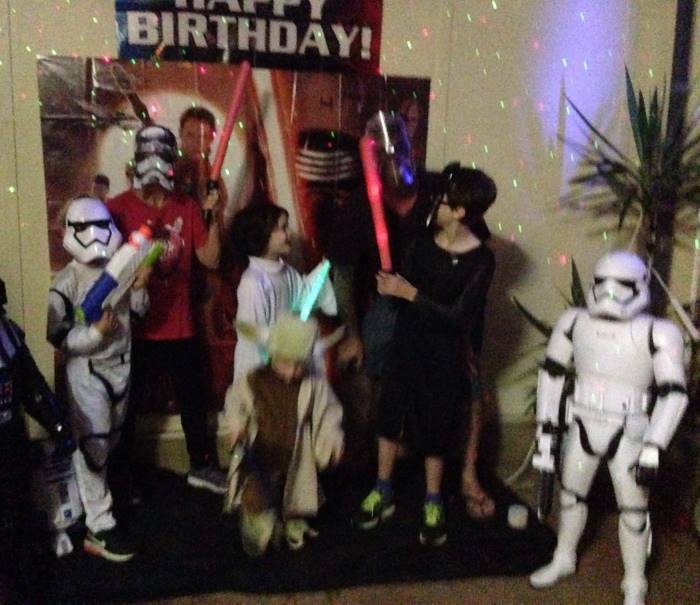 All you and your little girl have to worry about is how to save the galaxy from The Empire! Vader won't know what hit him. 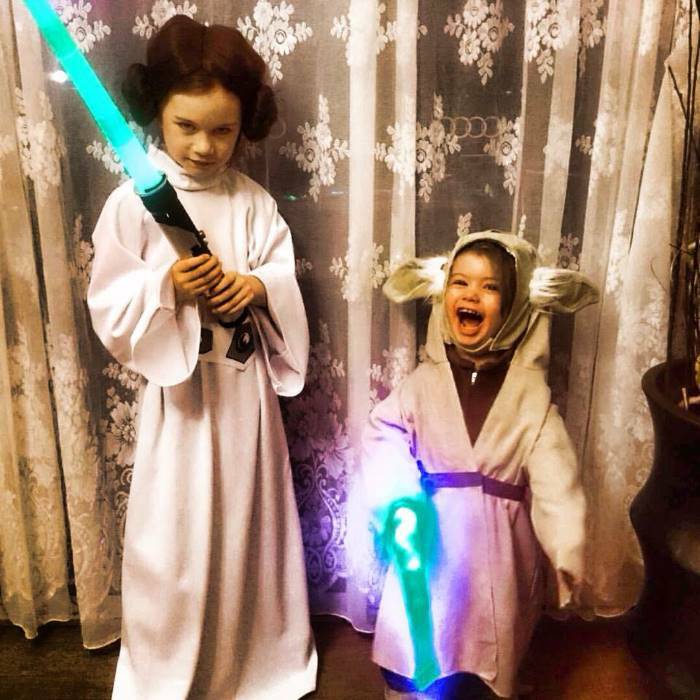 One thing is for sure, the force will always be with her so you're going to have an awesome candy haul this year. This was the perfect fit for my Granddaughter. She looked stunning. The Fabric was great quality & I see it lasting a long time. It was perfect!!! Thank you.